The best stock inventory software systems grow with businesses. Inventory management becomes increasingly more difficult as companies expand. 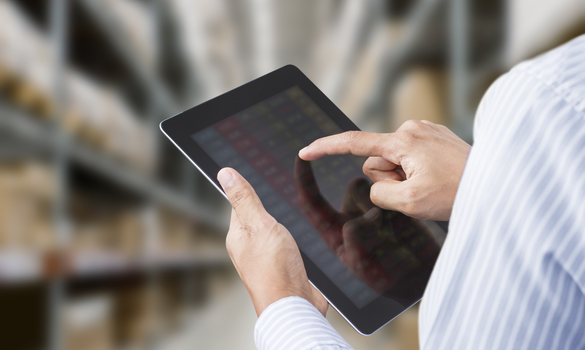 As the manager of an expanding company, you could benefit from stock inventory software. Perhaps you have heard of the various jobs inventory systems take care of. Additionally, you may have heard of the tons of software systems available. You do not have to spend hours sifting through them. Instead, focus on the features to narrow down your options. Below, you will find stock inventory software features for better tracking. Firstly, consider multiple location support. As companies expand, they obtain new locations. Such locations mean something different to each business. Perhaps you are the manager at a retail store. The brand is opening more and more stores around the world. Inventory tracking gets confusing without a system to accurately track it in each location. Systems that offer numerous location tracking alleviate stress for various procurement processes. They provide information on stock inventory in each location. Furthermore, they decrease chances of error. When searching for the best stock inventory software, look for the feature of numerous location support. Another must-have feature in stock inventory software is barcode scanning. Categorizing inventory items takes a lot of time. When done by a human, errors may occur in categorizing and tracking as well. These negatives can vanish with barcode scanning. With this feature, your duties decrease tremendously. Simply scan the inventory. It is as easy as that. The software categorizes products for you. More so, many software systems offer barcode creation. Hence, items that lack barcodes can still be easily filed into inventory. Understand the efficiency obtained with a barcode scanning feature. Lot tracking also increases efficiency. With a lot tracking feature, a stock inventory software system easily retracts necessary data. Imagine a popular grocery store item gets recalled. Rather than frantically searching through inventory to find the specific item, lot tracking provides you with the specific data analytics so you don’t fall behind. Upon searching for the product, the software tells you how many items are in stock at your store. It also alerts you of any items that have been shipped to you. Lot tracking assists in ensuring the safety of customers. It also saves you time and stress as a manager. Look for the lot tracking feature in a stock inventory software system. Additionally, find stock inventory software that offers inventory and sales synchronization. The synchronization is especially useful for businesses that function on multiple channels. Perhaps you manage a company that provides online and in-store service. Various channels makes it more difficult to keep track of sales. Therefore, stock inventory tracking also becomes more difficult. The ability to sync your online and in-store sales to your inventory data provides simplified tracking. As companies expand, the inventory and sales synchronization feature becomes more valuable. Lastly, look for stock inventory software solutions that keeps track of shipping information and status. A lot more goes into shipping than what meets the eye. For example, customers often have specific instructions on how they want their product shipped. They may prefer multiple items in one box. A gift order may come in with a personalized message to attach. Search for a software system that will keep track of that information for you. In addition, search for one that offers tracking information once the product has shipped from the company warehouse. A great system will even provide a sum of the cost per shipment. Stock inventory software systems should include shipment tracking. Great stock inventory software enhance managers’ work. To find a great software worth investing in, consider specific features. Look for numerous location support. Find a system that provides barcode scanning. Search for a lot tracking feature. Inventory and sales synchronization saves time and confusion. Finally, consider shipment tracking during your quest for a system. These are all features that will optimize your tracking experience with stock inventory software.